New mixed metals leather bracelet style. 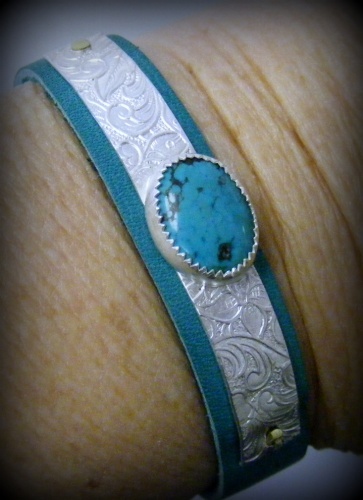 Has a piece of sterling silver that has been rolled in my mill to make it striking with an added turquoise stone to match the leather band - riveted with brass rivets and has a strong copper magnetic clasp. one of a kind.